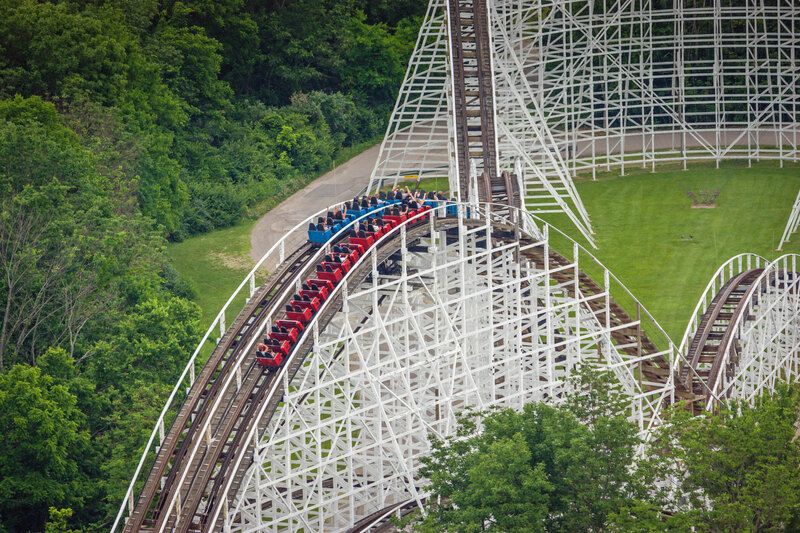 Lightning Racer at Hersheypark in Pennsylvania, USA. 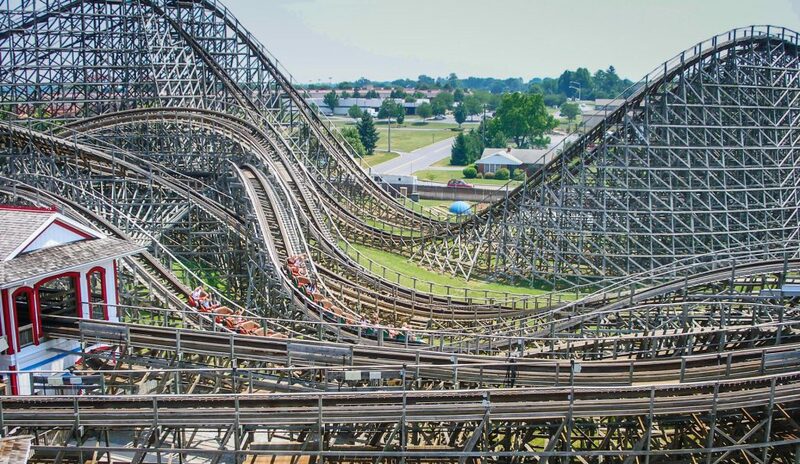 Racer at Kings Island in Ohio, USA. 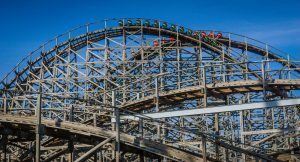 A racing coaster is just that. 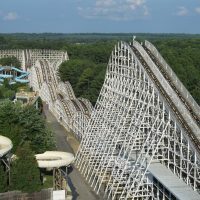 Two tracks run alongside each other and travel the same distance. 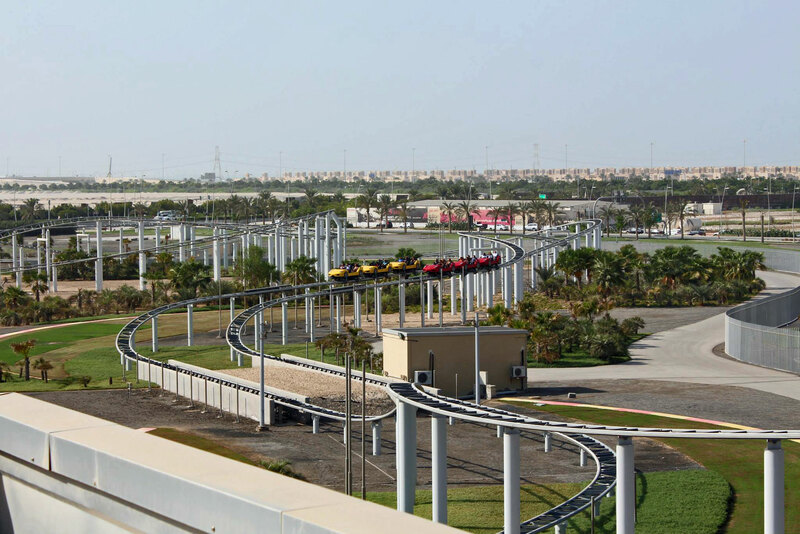 The trains race against each other to see who can make the finish line first. 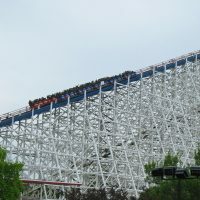 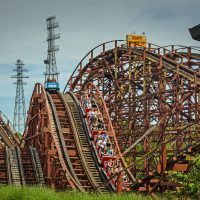 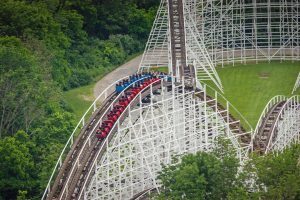 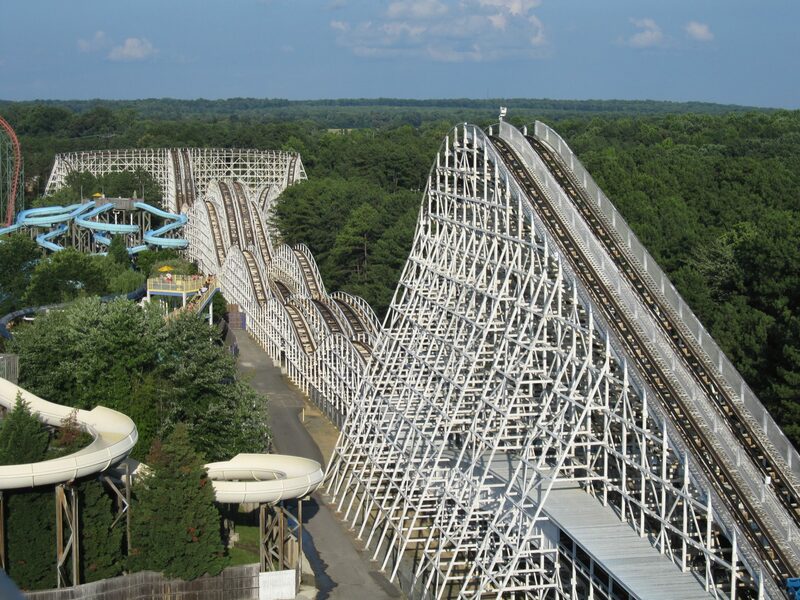 Most racing coasters use an Out and Back design to insure the riders of the separate trains remain in site of each other. 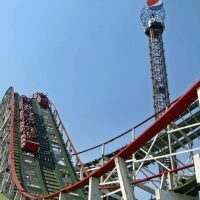 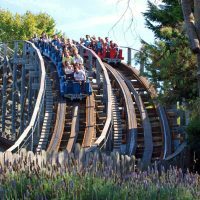 These coasters are exciting and superb fun, especially with a group of friends split between the two trains. 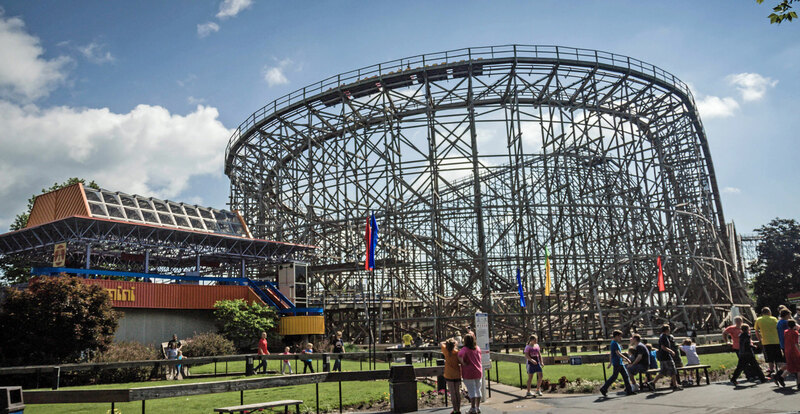 Some racing coasters have dueling elements where the track will dash close, cross over or under each other and speed away. 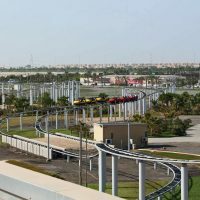 Some also have “fly-by” elements where the trains speed towards each other on their separate tracks. 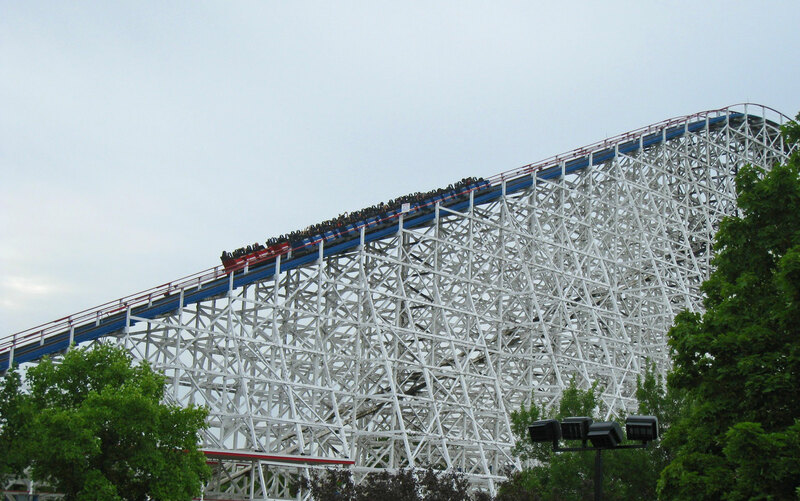 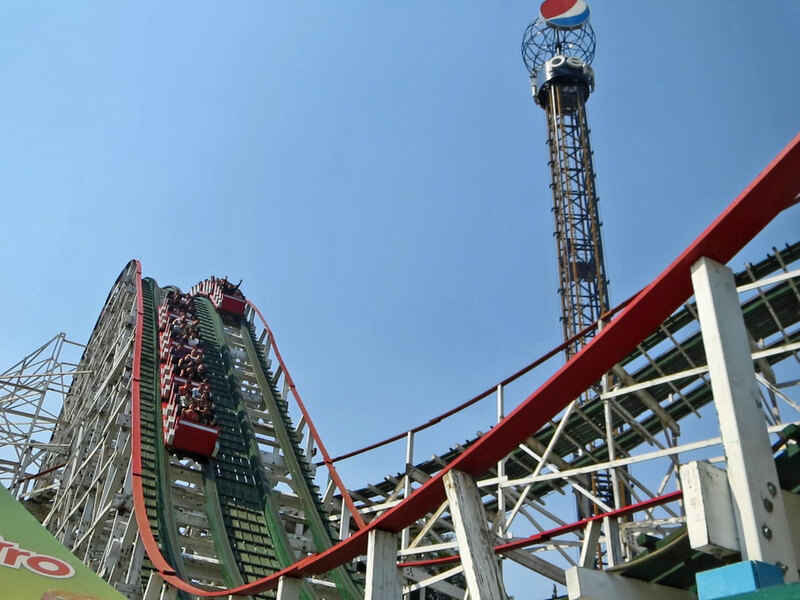 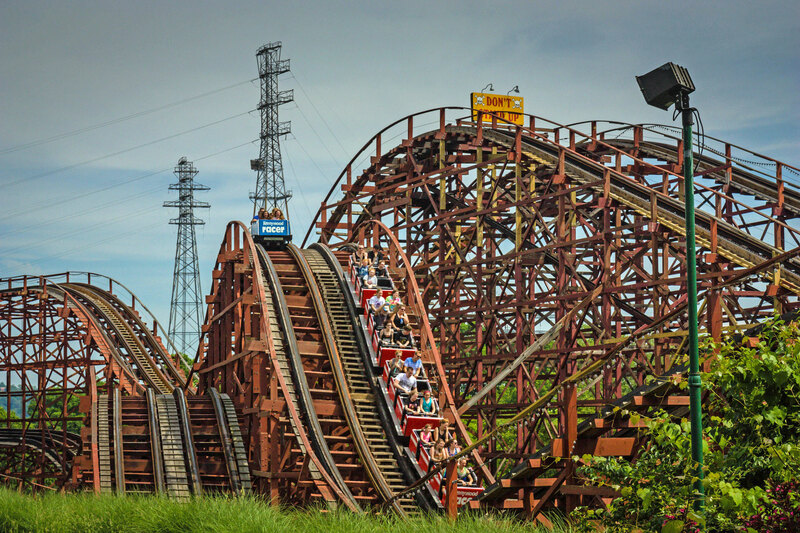 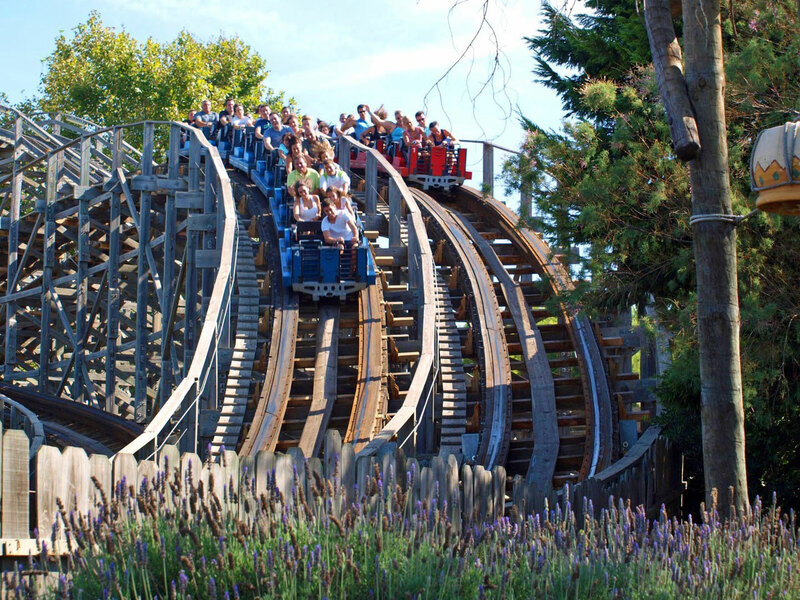 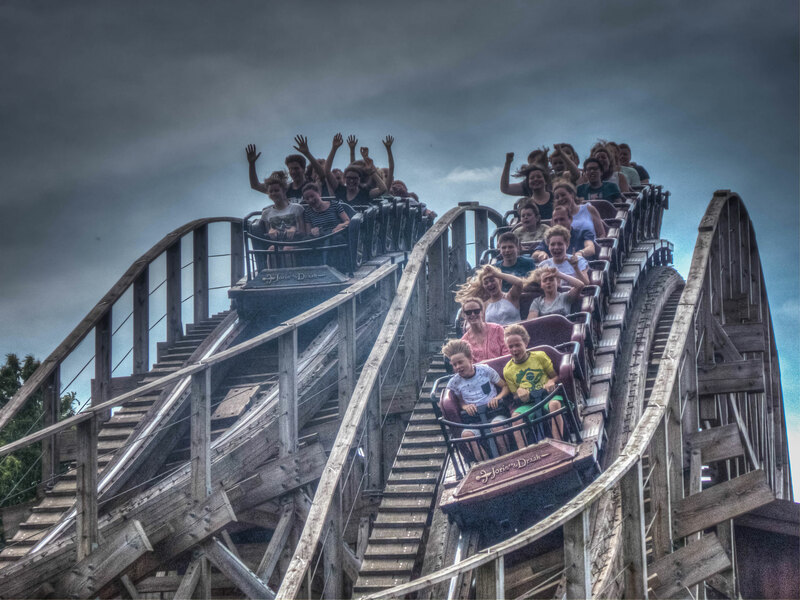 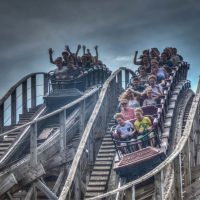 These models are often referred to as dueling coasters. 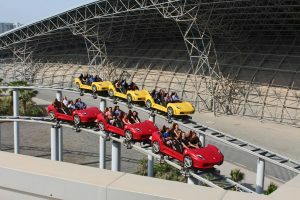 Fiorano GT Challenge at Ferrari World Abu Dhabi in the U.A.E. 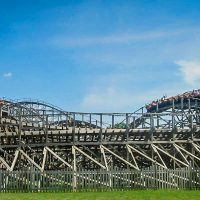 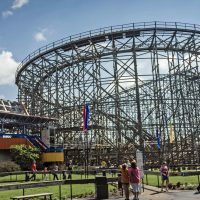 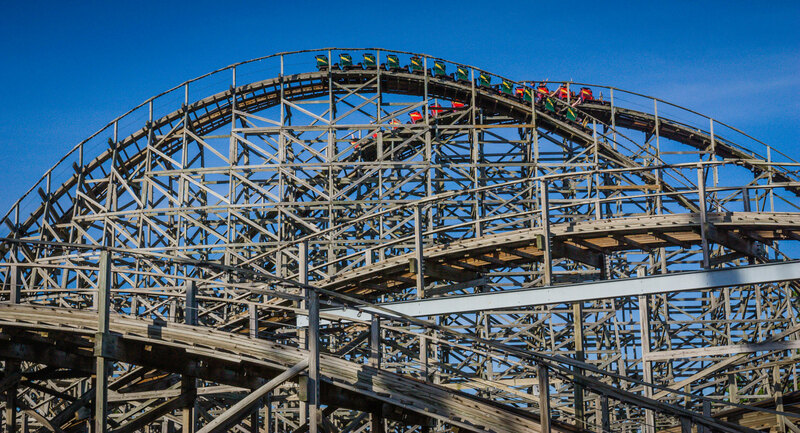 Like wooden Out and Back coasters that have steel counterparts, there are a couple of steel racing coasters. 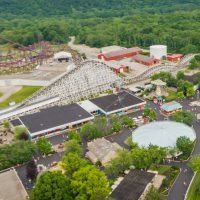 One is Gemini at Cedar Point in Ohio, USA, which is an Arrow Dynamics steel hybrid racing coaster. 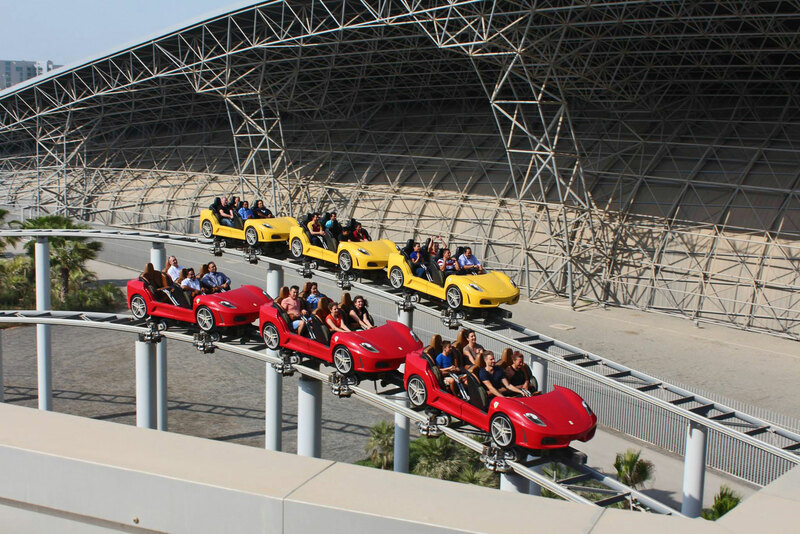 Another is Fiorano GT Challenge at Ferrari World Abu Dhabi in the U.A.E., which is a Maurer steel racing coaster.